Find Better Ideas, Faster ® with a custom mens fashion trend report, our PRO Dashboard and 80+ categories of premium trend reports. 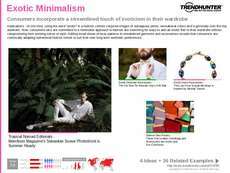 The Mens Fashion Trend Report explores exciting fashion developments in the world of menswear and accessories. Readers are treated to an expansive study of new designs by major labels like adidas, Nike, Tommy Hilfiger and Calvin Klein, which retain a huge share of the fashion market. Our findings are also based on proven research methods that showcase customer purchasing patterns related to different menswear trends. Trend Hunter's expert research is capable of providing you and your team with supercharged insights that will help you predict and adapt to the fast-paced nature of the fashion industry. You'll also be able to use our findings to help spot emerging men's fashion trends based on your preferred target audience. 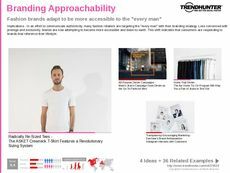 Trend Hunter's Mens Fashion Trend Report is designed to help fashion professionals harness the power of market trends in their favor each and every season.